How I define mindful movement is an activity and/or exercise performed with awareness. It is putting your attention and focus on noticing and feeling what your body does while engaging in movement. It is a mental focus and practice of being aware of our entire body. Mindful movement allows us to recognize the capability and potential of our bodies. Mindful movement is listening to your body to create an awareness of your body. It involves finding something about your body to enjoy. This could be as simple as paying attention to the feel of your feet on the floor or as complex as how you sit down and lean in a chair, holding onto a mouse. It could be taking the dog for a walk and focusing on how deeply you breathe and if it is through your nose or mouth. It is fully finding an appreciation of how truly amazing your body is while allowing your mind to connect to your body. Activities that are both structured and unstructured can be considered mindful movement. 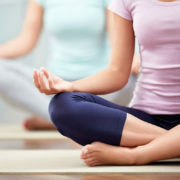 Some of the structured activities include: yoga, pilates, strength training, stretching. Unstructured activities may include: freestyle dance, singing in the car, games with children, gardening, and playing with pets. If you would like to learn more about mindful movement and how you may benefit from exploring this unique approach, give Cathy a call to schedule a session at Sage Nutrition. http://sagenutrition.org/wp-content/uploads/2017/02/mindful-movement.jpg 1013 1200 Cathy Jewell http://sagenutrition.org/wp-content/uploads/2017/09/sage-nutrition-logo-2x.png Cathy Jewell2017-02-23 13:49:202017-06-07 00:25:07What is Mindful Movement?